For those hoping to be swept away by Kauai’s stunning scenery, this picture-worthy adventure is for you. The guided excursion ventures to some of the island’s most spectacular destinations, including Waimea Canyon and the Spouting Horn, and ends with a cruise down Wailua River, while you enjoy songs and stories of ancient Hawaii. The day begins with a drive past the uncanny likeness of Britain’s Queen Victoria etched on the Haupu Mountain range, then continues through a remarkable tunnel of 500 eucalyptus trees towering more than 100 feet. After a drive through Koloa Town, you will head to the Spouting Horn—one of the island’s most photographed spots and where ocean water erupts through underground lava tubes. 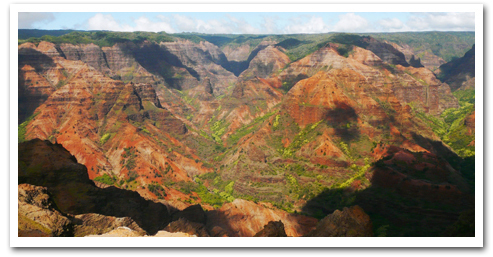 Then it’s time to see the 3,000-foot-deep Waimea Canyon, often described as the Grand Canyon on the Pacific. With its vibrant red soil and amazing greenery, it definitely is one of the most spectacular sights on the island. Other stops include the Opaekaa Falls Lookout and Fern Grotto, a gorgeous tropical rain forest once reserved for Hawaiian royalty. The tour ends on the Wailua River, where you will take a relaxing cruise surrounded by lush jungle landscapes. Prices are subject to change due to an additional transportation fee depending on your hotel pickup location. Round-trip transfers from Waikiki hotels and round-trip airfare to the destination island included. All One-Day Tours are subject to availability and may change without notice. Your safety and comfort are our #1 priority. Tour highlights are subject to change without notice and may vary at tour driver discretion in order to take into account National Park Service advisories, weather advisories, traffic advisories, road closures and detours, venue hours of operation, etc...Tour features can change daily as we cannot predict weather and lava viewing conditions. Wear sturdy, covered walking shoes. Weather is unpredictable. Anticipate both sun and rain conditions. Tour departs first pick-up location at 7.45 AM and returns at 6.00 PM. We will stop at Paradise Garden instead if Fern Grotto is closed for repair work. Children under 2 years of age are considered FREE if child is on lap and does not occupy a seat. Please let us know in the comment section when booking. 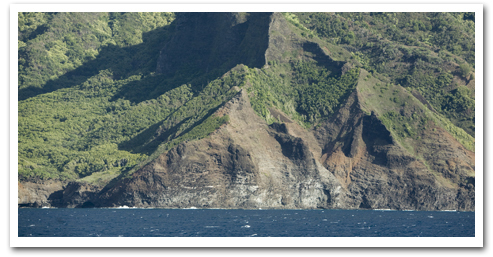 The Wailua Boat Cruise is not ADA accessible, guests if unable to walk will need to be carried in/out of the boat.